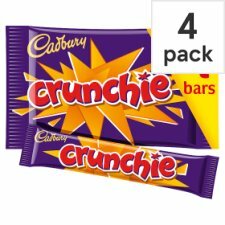 Milk chocolate with golden honeycombed centre (37 %). 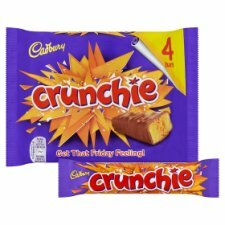 Launched way back in 1929, Crunchie is a Cadbury classic. Get that Friday Feeling! Store in a dry place. Protect from heat., Do not refrigerate.